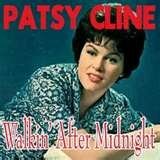 This Patsy Cline Karaoke disc CDG of 1950s country karaoke by Pocket Songs, is A Multiplex disc. Each song has 2 tracks. 1 track has lead vocals so you can practice your performance, and 1 track is without lead vocals, for your performances. This Patsy Cline Karaoke disc is A Multiplex disc. Each song has 2 tracks. 1 track has lead vocals so you can practice your performance, and 1 track is without lead vocals, for your performances.